This house is outfitted for success with all new durable roofing and siding material. Opal did this complete siding and roof replacement in Naperville Illinois. Hooray for Night Gray! Opal did an exterior home renovation in La Grange Illinois featuring James Hardie Night Gray siding, a new roof, and more. What's up? 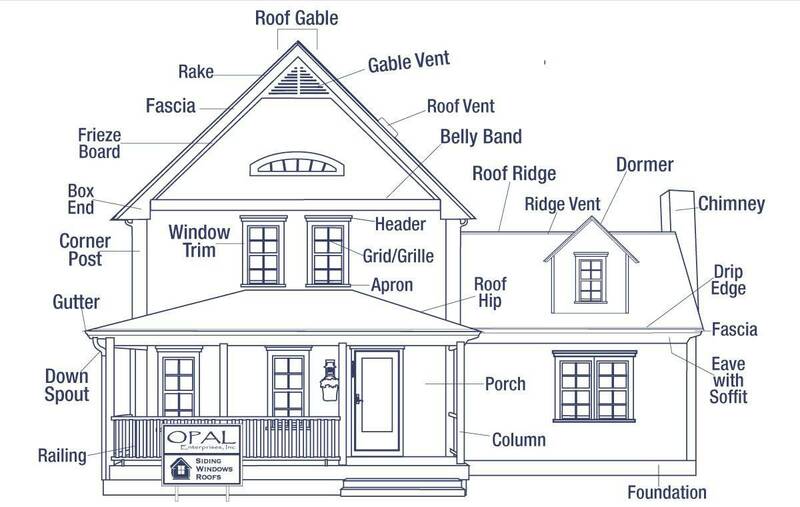 Check out this guide to common roof shapes and important roof parts. Fascia, and Dormers, and Belly Bands! Oh, my! Have no fear, Opal's here to help. Let's go over some of the common parts of a house you might encounter during a renovation. Keep the flames at bay! Learn how to make your home safer with a fire resistant exterior. Fall is in the air, the squirrels are getting squirrely, and we all know what's coming. Winter doesn't have to be hard on your home. Winterizing properly can make all the difference for a warm and cozy winter. Certifications, Roofing, Who is Opal? We're certified by GAF as green roofers! This is because we recycle old roofing shingles and practice overall sustainability!